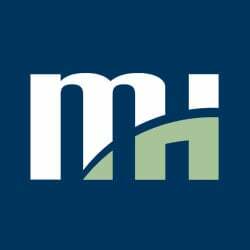 The “MH-PSP-LG” team competed in the "Kidtastic!" 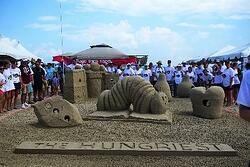 category, and its sandcastle was inspired by the children's book "The Very, Hungry Caterpillar." Special thanks to Kurt Neubek, FAIA from Page/, whose artistic talent and many years of sandcastle carving experience were invaluable! He shared his tricks of the trade and helped other team members hone their carving techniques. Teamwork was key and participants definitely had lots of fun in the sun! 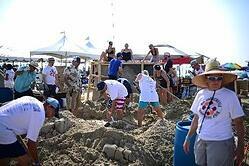 During the competition, the team used a solar powered pump system to bring water from the bay to the “building site”. The team also had a solar power cell phone charging station available for team members. They sought to minimize single-use waste by using reclaimed wood for the formwork and reducing packaging brought to the site. After five hours of non-stop shoveling and sculpting, the judging took place. The Hungry Caterpillar team was awarded the title of "Most Sustainable Team", recognizing their efforts toward reducing any negative human impacts at the event through their use of solar energy, recycling waste, using biodegradable plates and cutlery, and keeping its carbon footprint to a minimum by carpooling to and from the competition. 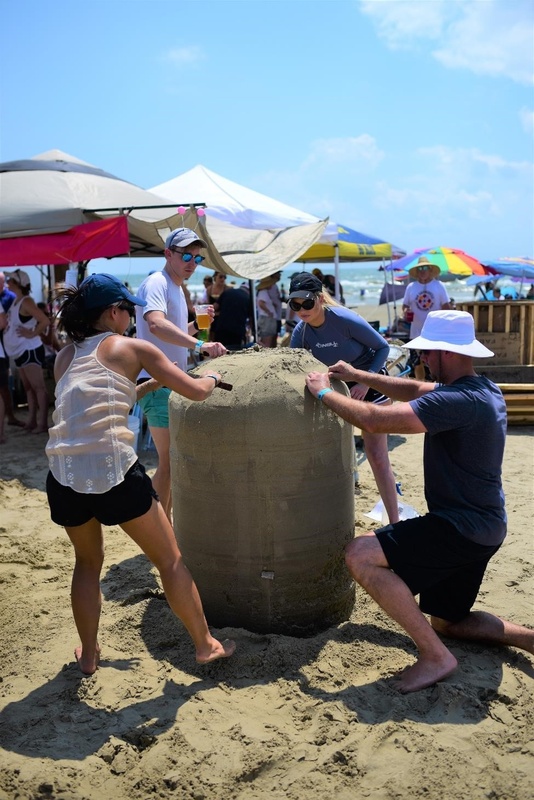 Congratulations to team members from Morrison Hershfield Houston, Page/, Linbeck Group, LaNova, Stone Source, and, Seeding Galveston for demonstrating your commitment to sustainability, and to all of the other sandcastle teams for participating in this terrific community event!